One of my biggest pet peeves is hearing grown adults brag about their lack of cooking abilities. The way I see it, it’s just … pathetic? Okay, that might be a tad dramatic. But in all seriousness, you’re an adult now and it’s time for you to act like it. Not convinced? Here are a few reasons why you need to learn to cook. Chinese one night, pizza the next and McDonalds another — sure, these options taste good, but they also add up quickly, which isn’t ideal on a student budget. There are so many inexpensive meals you can make yourself using pantry staples. Need inspiration? Pinterest is your new best friend: there is a large gaggle of food bloggers who focus on the financial benefits of home cooking. One of the hardest things for me to learn regarding cooking was how to fit it into my schedule. As a busy student, with lots of things to do and places to be, I would often realize I never left myself enough time to make myself a full meal. However, when I set my intentions on cooking, it forces me to be more thoughtful with my schedule. Prioritizing my time commitments to include time in the kitchen has a positive effect on my organizational skills as a whole. When going out to restaurants or ordering takeout, it’s hard to know what exactly you’re putting into your body. How much oil? How much salt? It’s hard to confront our eating habits and make healthier choices when other people are making your food for you. 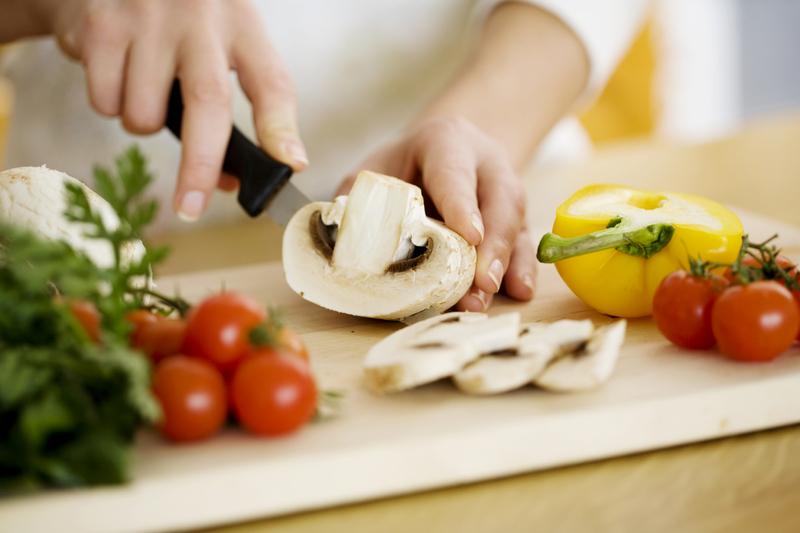 Cooking for yourself forces you to be more aware of what you are choosing to put into your body. Learning how to cook is such an important thing to do. It’s a skill you can carry along with you for the rest of your life. You don’t want to be that 30-year-old that still eats Kraft Dinner and instant ramen on a daily basis because that’s all they have in their arsenal, do you? University is the time for exploring and taking risks — and that shouldn’t be limited to just the classroom. Use these years to gain a skill that will set you up to be a boss at adulting. By cooking for yourself, you are setting aside time to focus on fueling your body, making it the ultimate form of self-care. We put our bodies through so much during the day, expecting it to process so much different information — it deserves some TLC and there’s no better way than in the form of nourishing homemade meals. So, it’s been established that learning to cook is an important step in becoming a fully functional adult, but how do you actually do it? If you’re starting from square one, cooking can seem like an extremely daunting task. However, it’s actually quite easy! If your goal is to learn how to cook for yourself, don’t set out to try eight different meals all at once — that’s a sure-fire way to get overwhelmed and give up. Instead, strive to try out one or two new recipes per week. Give yourself a chance to really refine your skills and get into a groove with each recipe. By allowing yourself to practice the same meal a few times, you’ll actually see yourself improving. Seeing results can be really motivating, which is just what you need when learning something new. You aren’t on MasterChef, so there’s no need to get super elaborate with your meals! Focus on nailing the basics first — baking a chicken breast without drying it out, boiling pasta just to al dente and cooking eggs without burning them. Once you get more comfortable with those and have gained more confidence, feel free to get fancier. There are a lot of variables in play when cooking — the freshness of ingredients, seasoning, the temperature you cook your food at, etc. When experimenting, it’s inevitable that sometimes things will go wrong! Don’t let this set you back though. Make corrections, learn from your mistakes and try again. Once you figure out where you went wrong, you’ll know better for next time and will have a greater knowledge of how all the different variables in cooking intertwine. If you are a busier person or just don’t know where to start with finding recipes, it may be in your best interest to find a cooking or meal prep program. The features of these programs vary drastically and the one you choose should be one that fits your individual needs. Some programs, like HelloFresh and Blue Apron, not only give you recipes to make each week, but also send you the exact ingredients portioned out for you. A more affordable option is the Workweek Lunch program; while it doesn’t offer a grocery delivery service, you do receive new meal plans every week, with the option of swapping them out for any other previously featured recipe. Regardless of what you try, you’re sure to widen your horizons if you join a meal plan program! Learning to cook can be a scary task if you’re starting from the beginning, but now you have all the information you need to dive right in. Take the risk, because you have nothing to lose and everything to gain! 3rd Year at Wilfrid Laurier University with an affinity for baking. Probably drinking copious amounts of kombucha, watching hockey and procrastinating on Pinterest.